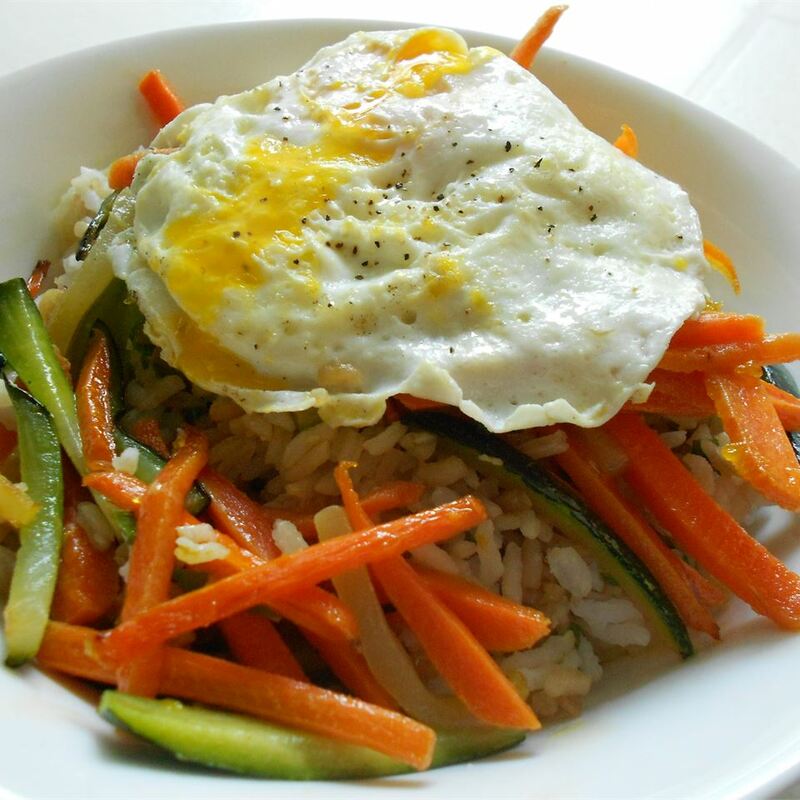 This is a really delicious and healthy recipe. 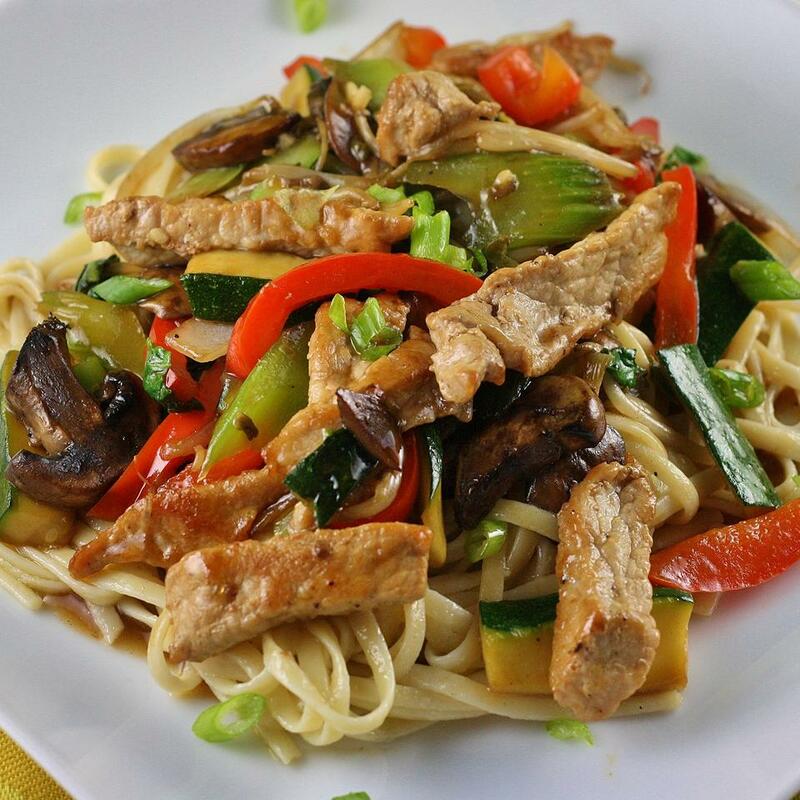 The sauce is what makes this recipe extra delicious! We make it at least once a week. 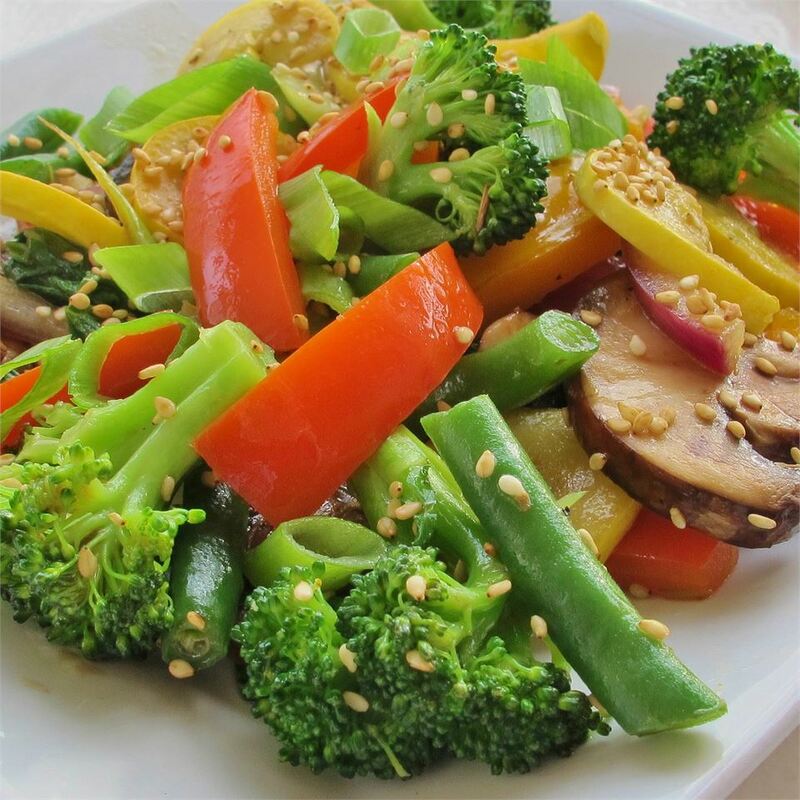 You can substitute and add whatever vegetables you like. 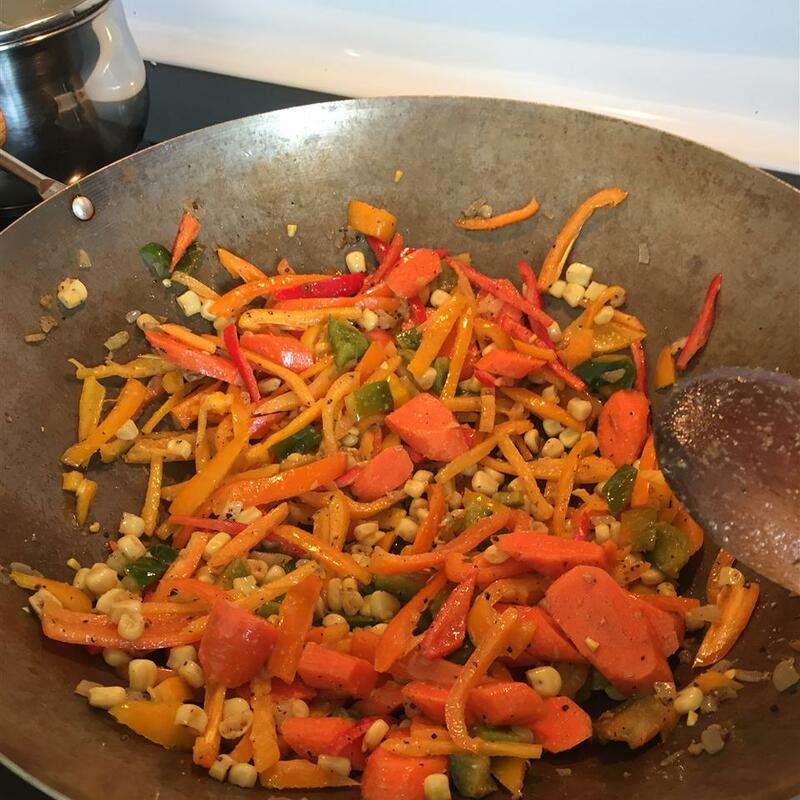 Stir in carrots, bell pepper and baby corn, cooking for 2 minutes. 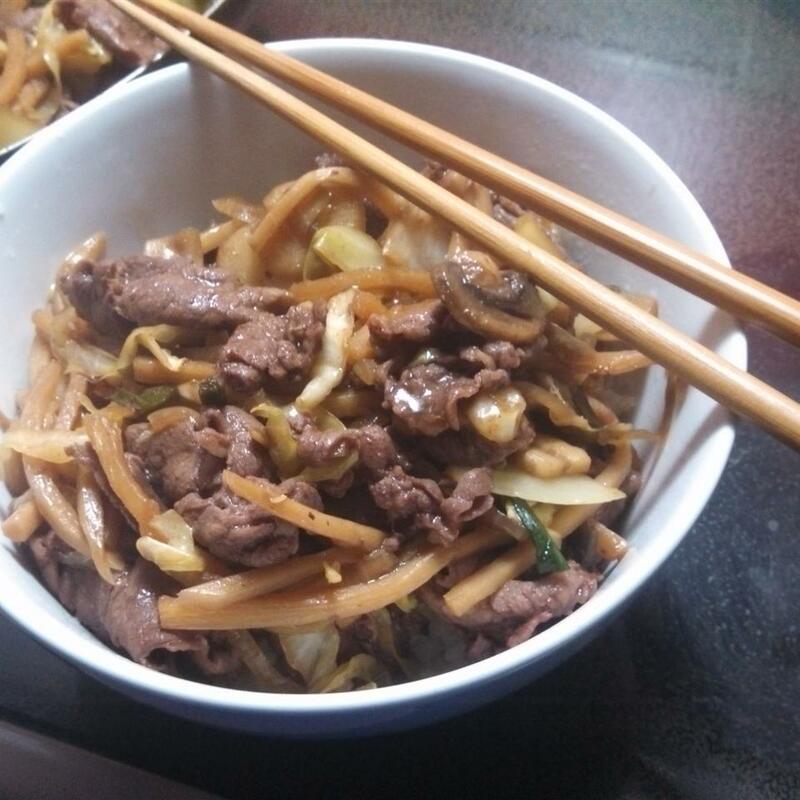 Stir in bok choy, mushrooms, bean sprouts, bamboo shoots, and crushed red pepper, and heat through. Remove from heat. 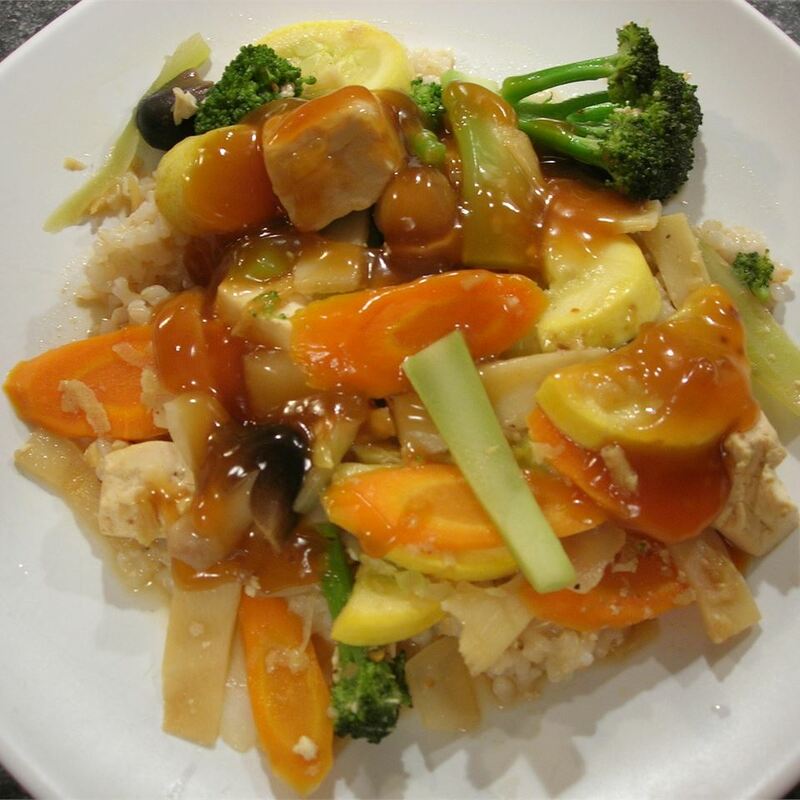 In a small saucepan, combine water, rice wine vinegar, honey, and soy sauce, and bring to a simmer. 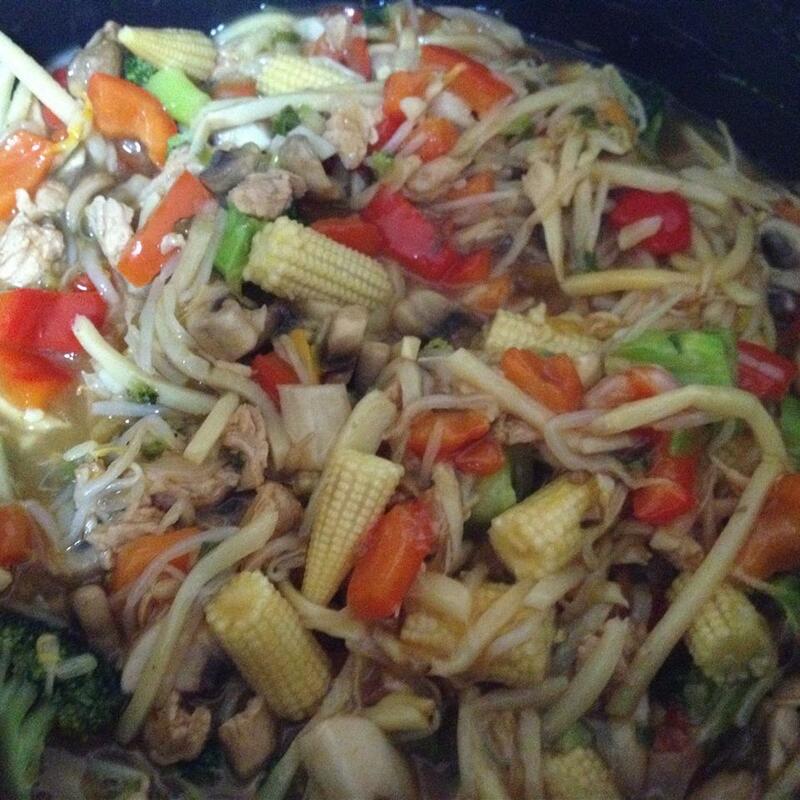 Cook for two minutes, then stir in cornstarch and water mixture. Simmer until sauce thickens. 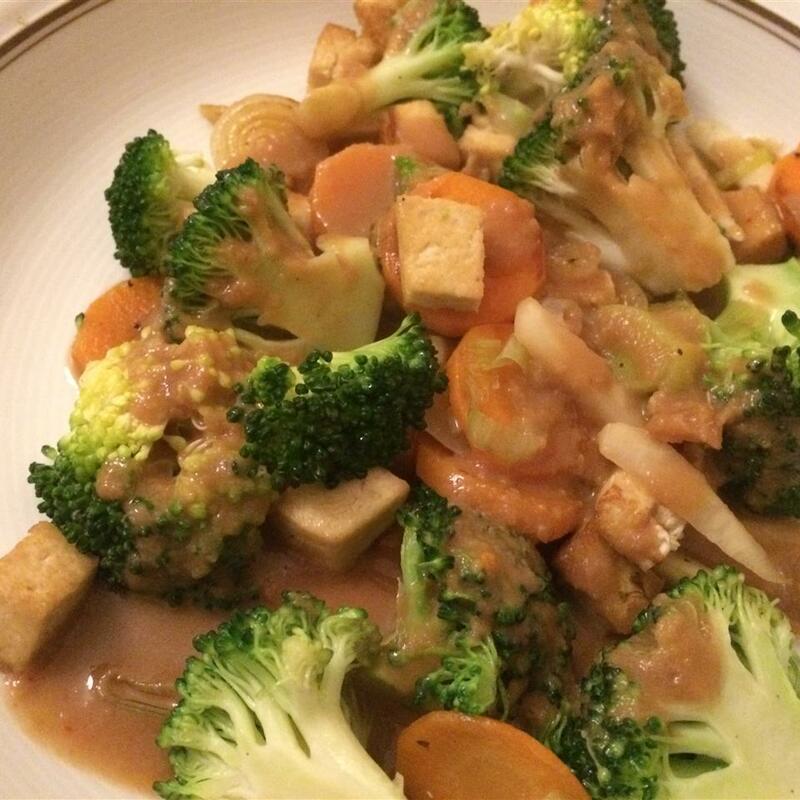 Pour sauce over vegetables and tofu. Garnish with scallions. I I gave it 5 stars because it was just right although I substituted a lot because most of the vegs I had available didn&apos;t match your recipe. 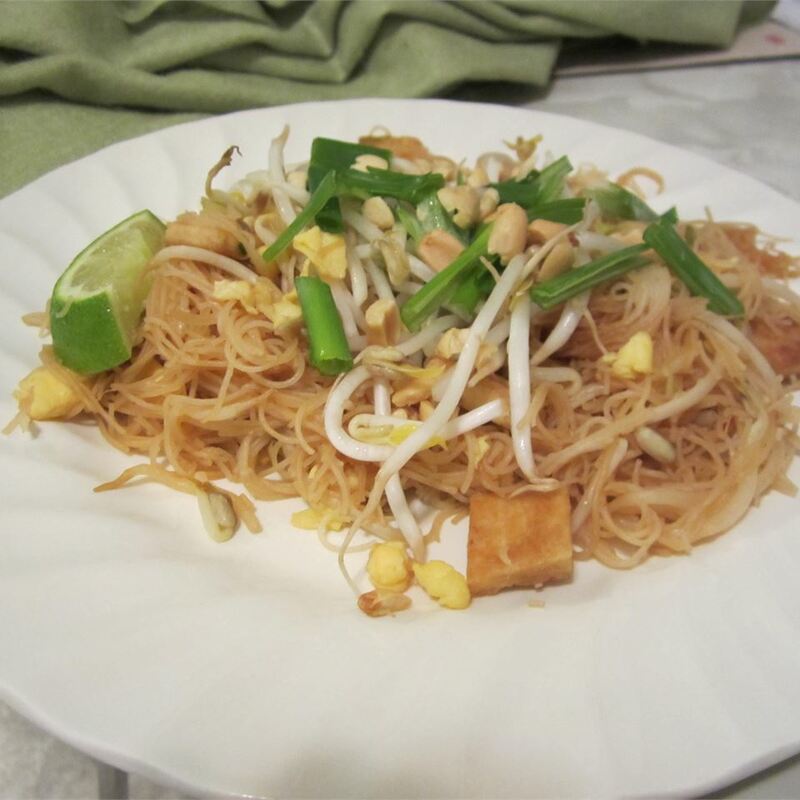 I did have tofu bean sprouts carrots garlic and mushrooms; Everything else I substituted or omitted. However your sauce recipe is top of the line for flavor so it was still a major success! I wanted to let others know that it allows for a lot of variations.. I did double the sauce because by the time I had everything else together it was really more than I expected. 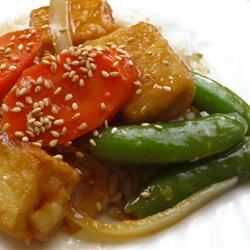 I love tofu but not this recipe. It was too bland and required a lot of hot sauce at the table just to taste like something. Maybe some cilantro would have helped? Doubling the garlic ginger and pepper flakes? 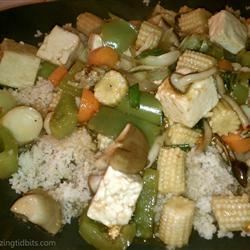 Not a bad stir fry recipe! I was concerned about the reviews that said it was bland and tasteless so I made a few changes. I added an extra Tbs of garlic and ginger (but I LOVE both). And use the real stuff! Powder doesn&apos;t have as much flavor. 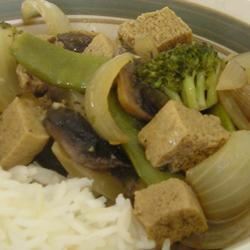 I sprinkled the tofu with s&p and cornstarch and fried it in another pan. I separated the bok choy and cooked the thick stalk part before I added the leafy part so the leaves wouldn&apos;t get soggy. The most important thing is to make sure that the veggies aren&apos;t overcooked otherwise it&apos;ll be soggy and all the flavors will mush together. Last of all make sure that the sauce is very thick!! It will be bland and runny if you mix it together too early. I think next time I&apos;ll try using sesame oil too. I thought this was just wonderful! 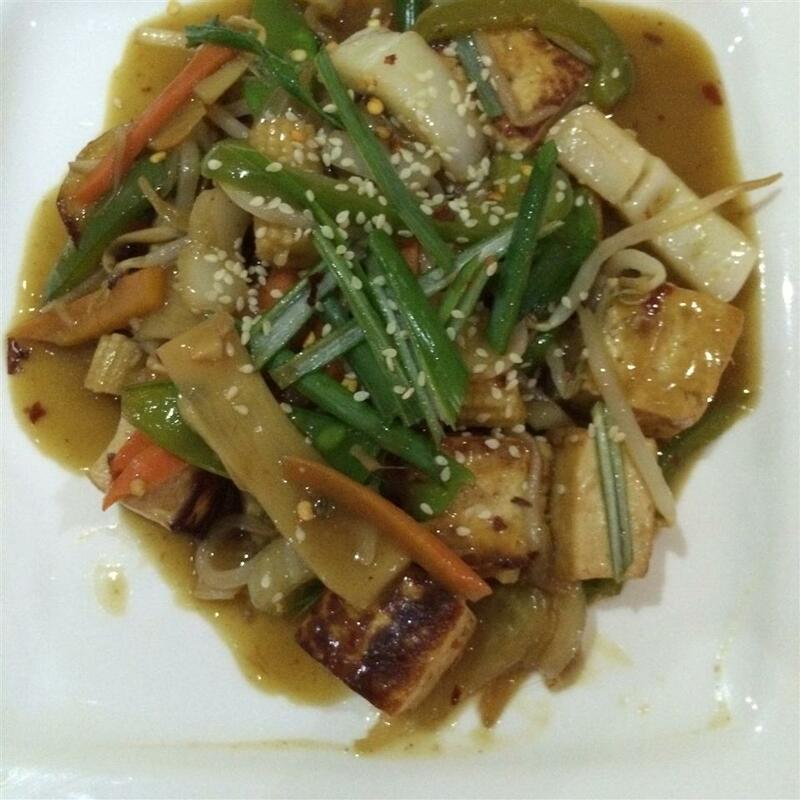 like others I baked the tofu first and I used sesame oil. 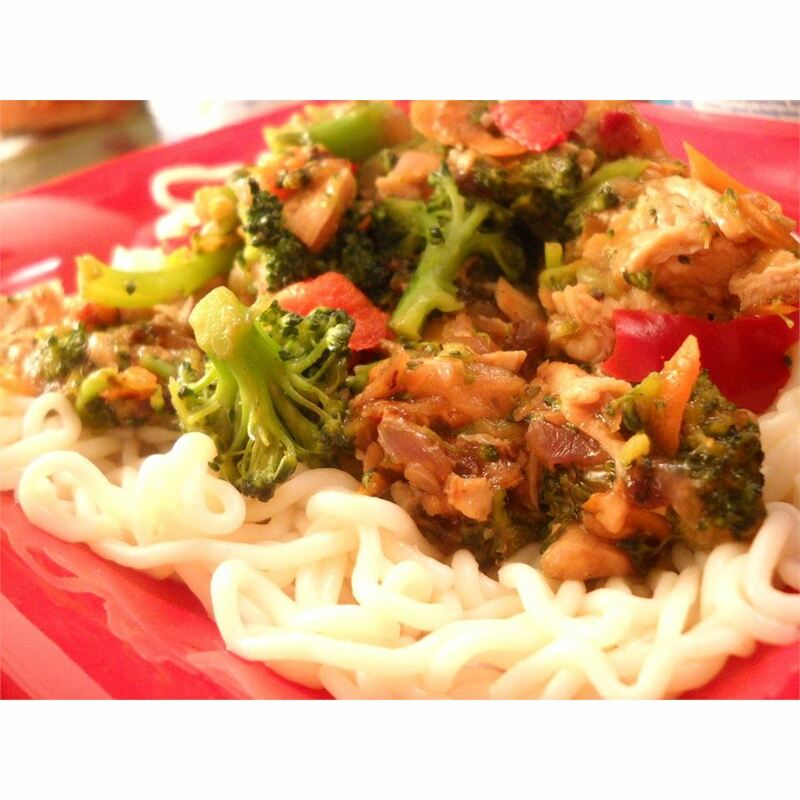 I did use different vegetables only red and green bell peppers carrots and broccoli and I doubled the sauce. Overall I thought this was very flavorful even though I forgot the crushed pepper! I didn&apos;t think it needed salt...soy sauce is very salty. 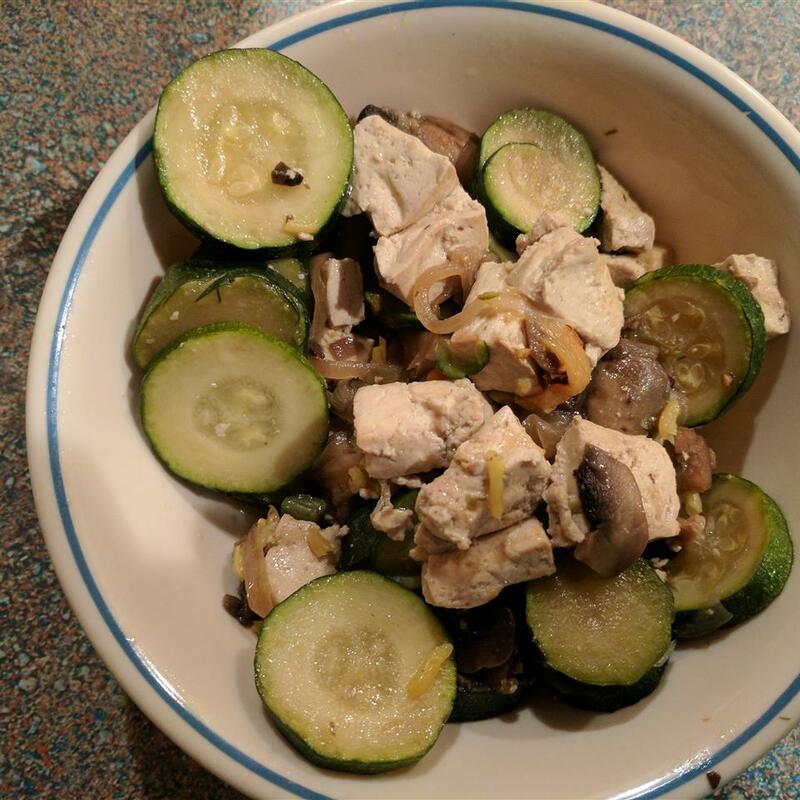 This recipe is fairly simple healthy and quite tasty too (at least with the few improvisations I used!). 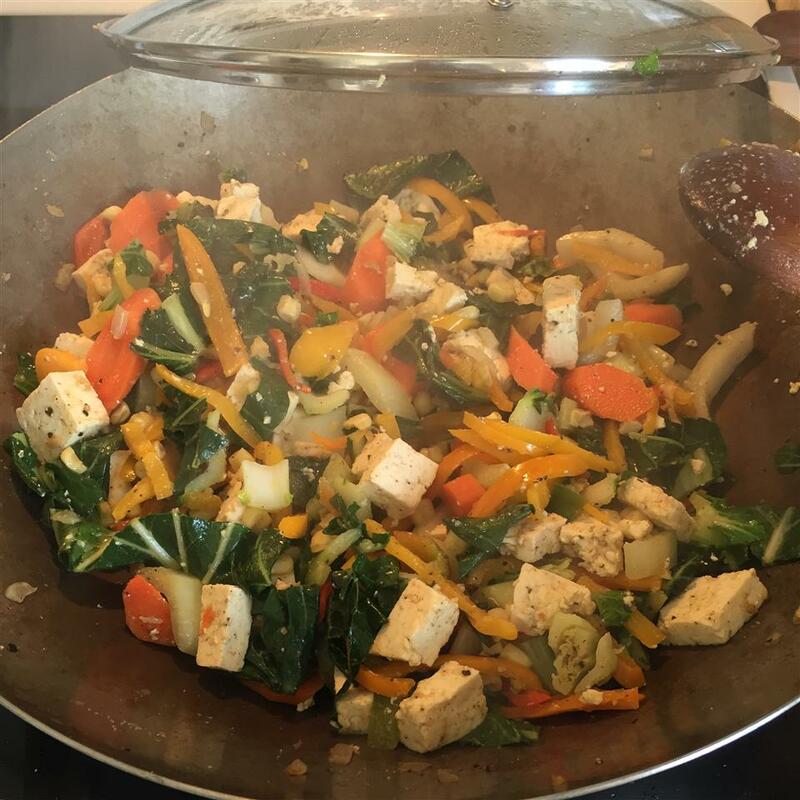 I made it with the array of veggies I had in the fridge--some broccoli zucchini red and yellow pepper and baby carrot--and fried the onion garlic ginger and tofu in a mix of regular vegetable oil and toasted sesame oil. 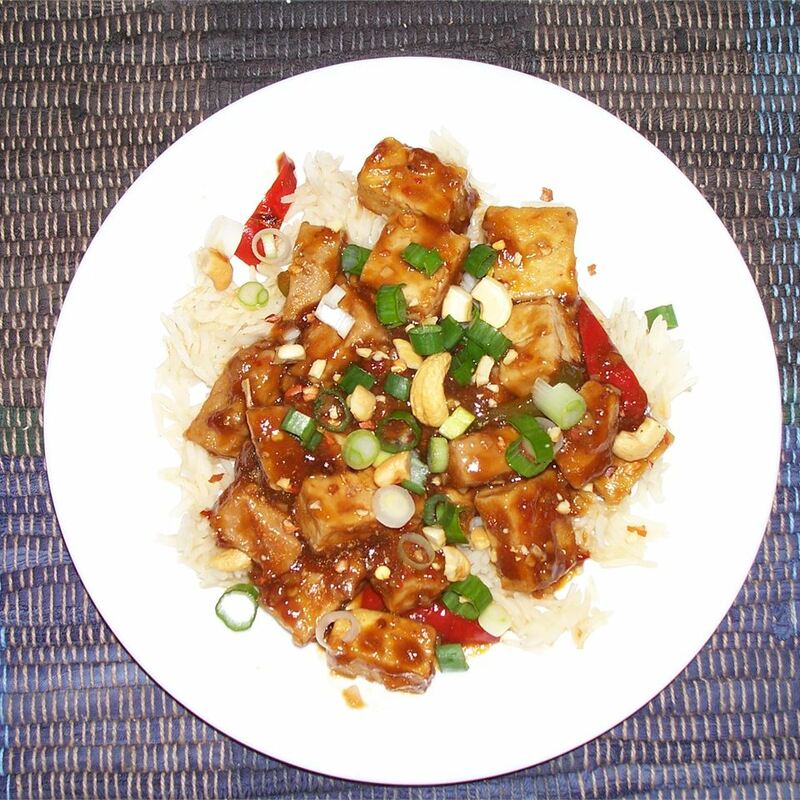 I used half the tofu called for and made more of the sauce. The sauce really was key and its flavor can be adjusted easily. I did not find the meal to be bland and I didn&apos;t need extra salt. 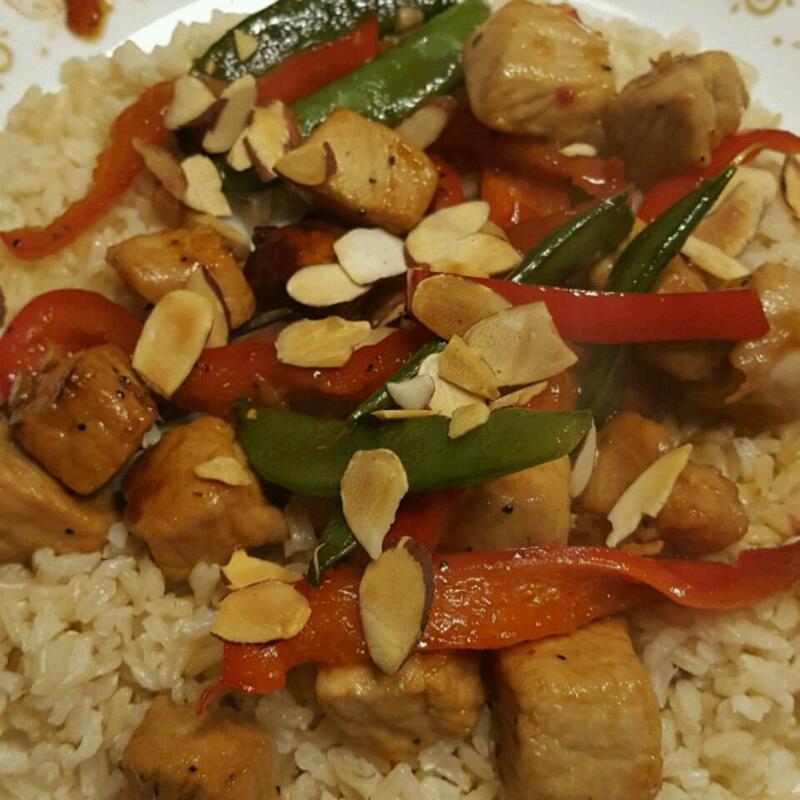 As I do for many Asian food recipes I topped it off with nuts sliced almonds this time. Thanks for the recipe particularly the sauce! 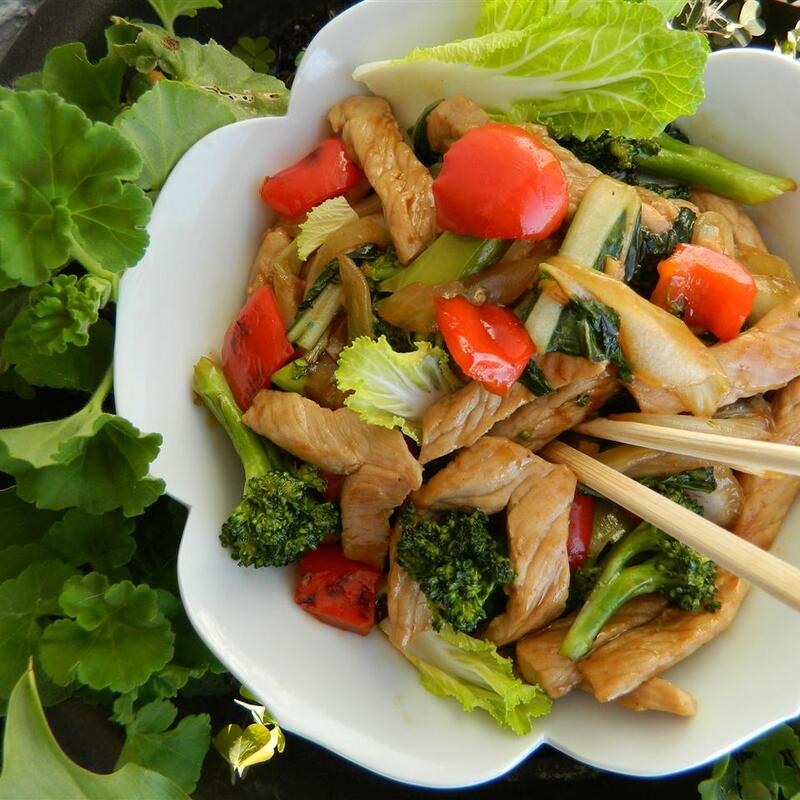 This is my go-to stir fry recipe. 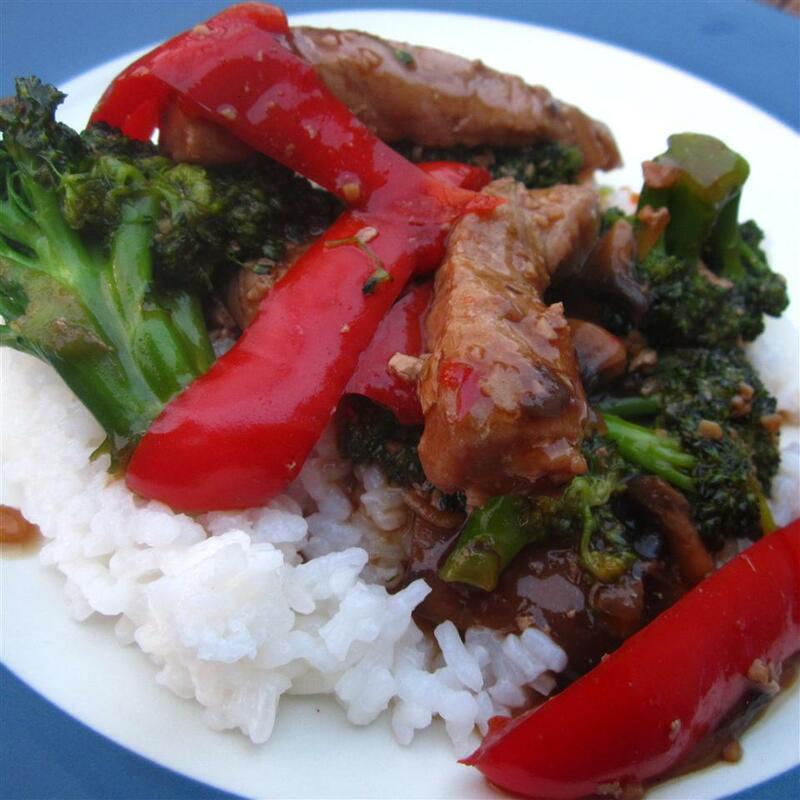 It works with any veggies (I usually throw in onions broccoli bell peppers and snap peas.) 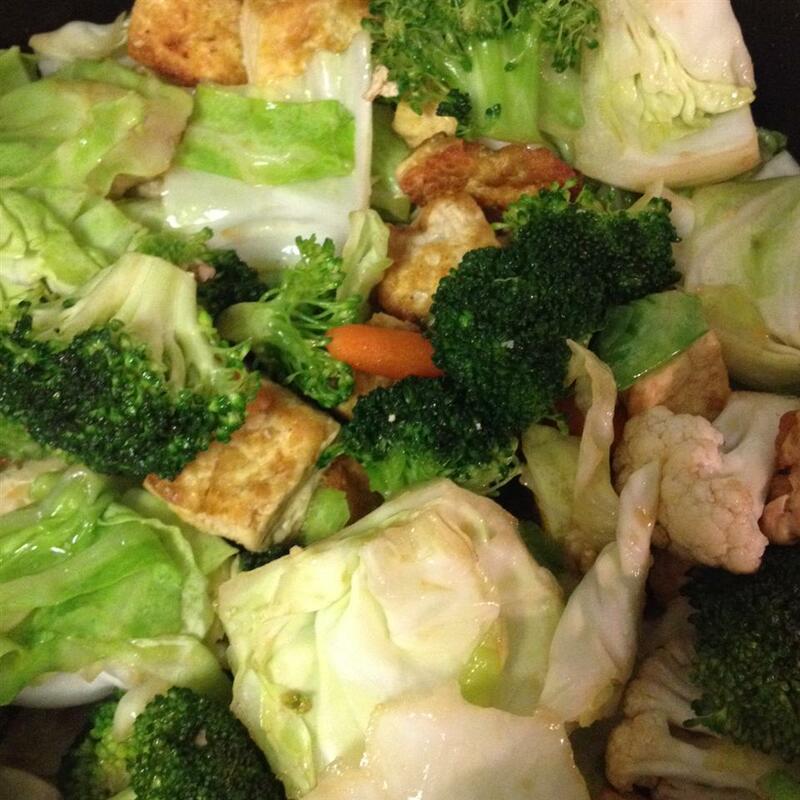 To fry the veggies and tofu I use vegetable oil with a sprinkle a combo of sesame seed oil. I like to use extra firm tofu and before I put it in the pan I pat it dry with paper towels then coat with cornstarch to get a subtle crunch. The sauce is the best part. Sooo easy and yummy! I sometimes sprinkle ginger powder and red pepper flakes in while it&apos;s simmering for extra flavor. 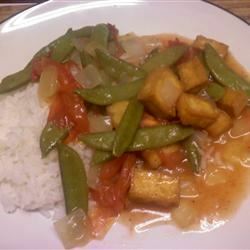 The sauce was great but I cut the tofu into strips instead of cubes so it could have a more fried texture to simulate a beef stir-fry. Very good recipe. 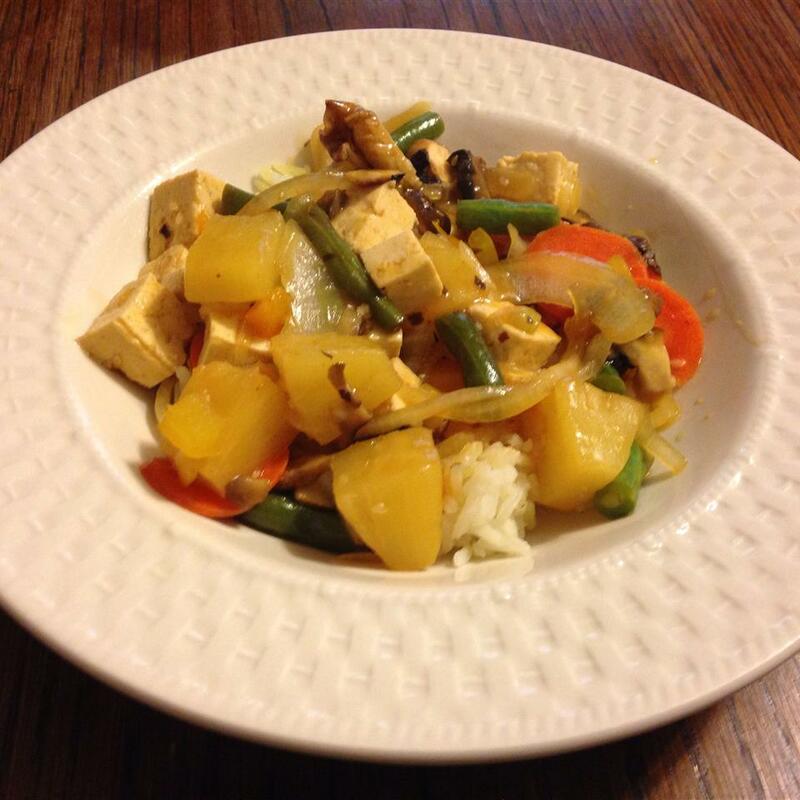 This was my first time cooking with tofu and fresh ginger so I was happy that it came out edible. 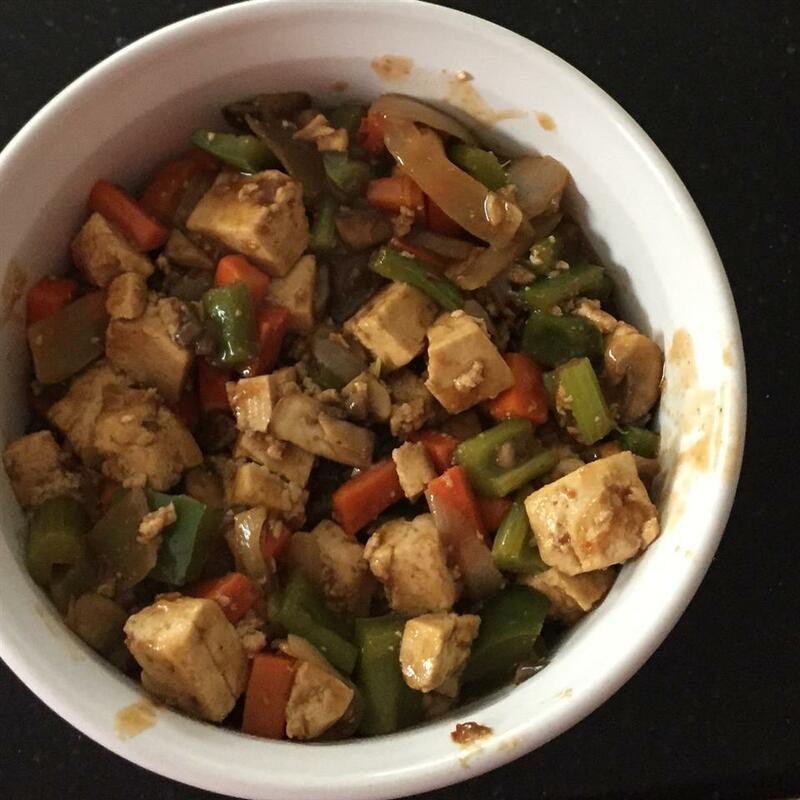 I baked the tofu on 350 for about 15 minutes. Don&apos;t be gentle with it when cutting as that&apos;s when it tends to crumble. 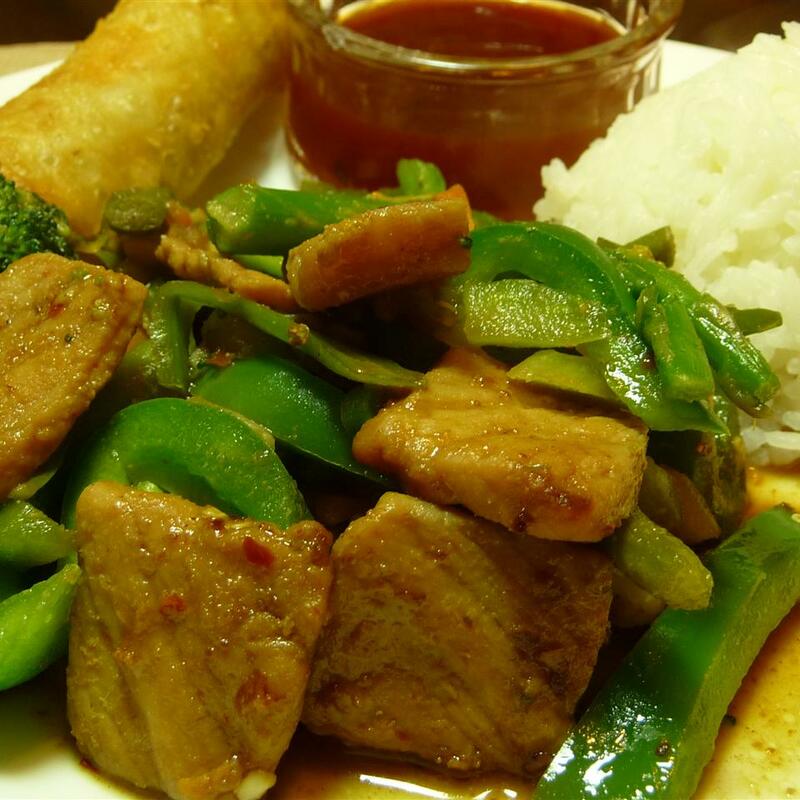 Stir-fry is all about the sauce. I found this sauce to be sweet and somewhat tangy. I didn&apos;t follow the recipe to the T-spoon but it was still good. 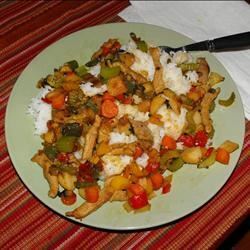 I don&apos;t know if I could crave this stir-fry though because I&apos;m not a huge fan of sweet entrees. There are a lot of vegetables so I had to double the sauce called for and it turned out perfect. Nothing wrong with extra sauce. This dish was pretty good. I really liked the sauce. Next time I&apos;ll probably substitute some of the veggies with ones I prefer more like broccoli and asparagus. It didn&apos;t really re-heat all that well. Nice simple and fast. 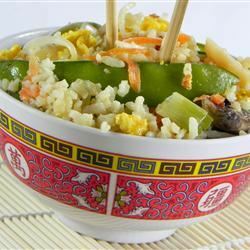 I used my preferred vegetables (broccoli carrots mushrooms snowpeas baby corn) and served over rice. This recipe turned out well. I didn&apos;t have all of the required ingredients (i.e. fresh ginger) but the taste was decent. 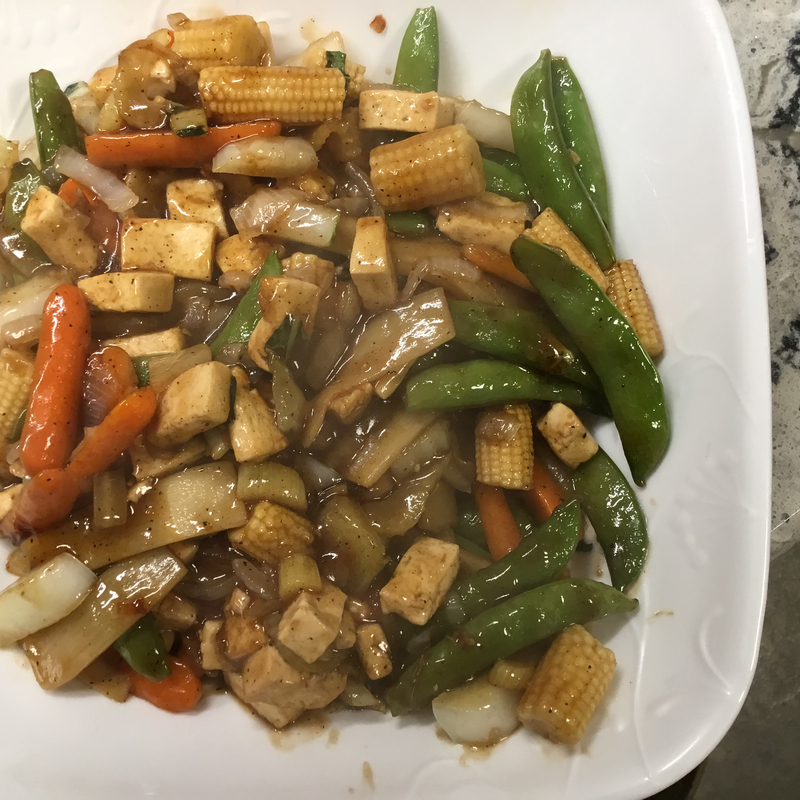 I think the sauce is what pulls it all together and really now that I have the sauce recipe it can be used on just about any stir fry. I liked not using much oil but had to add some to the pan because the garlic was sticking so much. 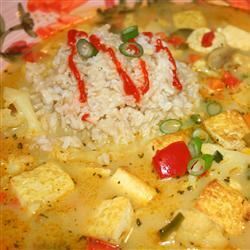 Next time I make this I will cook the tofu first and then add in the garlic and onions. I also baked the tofu for a few minutes before adding to the pan per another reviewers suggestion but next time I will bake it longer. 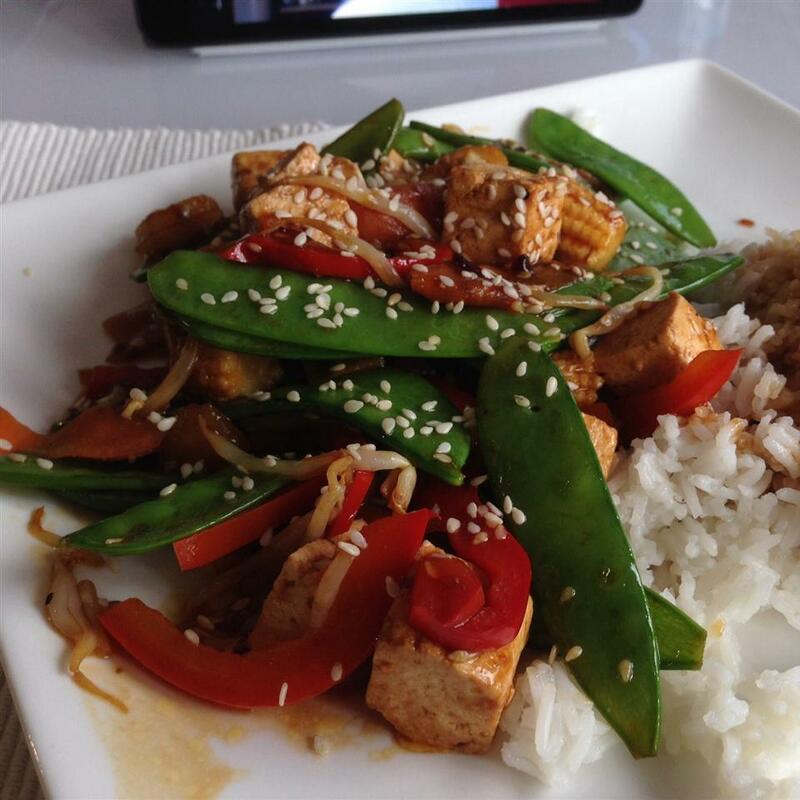 Tofu is just so hard to cook. Overall though my husband and I really enjoyed the recipe.